Jesu, Thou joy of loving hearts! Henry Baker, editor-in-chief of Hymns Ancient and Modern, wrote this text based on Psalm 23, and it appeared in the appendix of that hymnal in 1868. The text of this hymn has remained very stable. The fifth stanza is omitted from some hymnals, perhaps because this stanza contains more archaic expressions than any of the others. Most hymnals do not modernize the language. 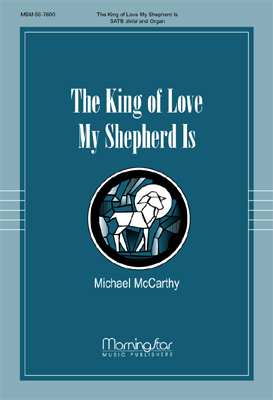 The six stanzas of this hymn correlate closely to the six verses of the twenty-third Psalm, while drawing connections between this well-known Old Testament passage and several New Testament images, all on the theme of the Good Shepherd. In the first two stanzas, the connections are subtle. In stanza 1, Baker adds a comment on the two-way, eternal nature of the relationship between the shepherd and the sheep, referring to Jesus' words in John 10:28. By changing the words “still waters” to “streams of living water,” Baker recalls Jesus' declaration that He is the source of these streams (John 4:14, 7:37-39). Stanza 3 clearly refers to the Parable of the Lost Sheep (Luke 15:3-7). In the second half of the hymn, the connection between Old and New Testaments is more pronounced by the use of the words “cross” (st. 4), “chalice” (st. 5, referring to the cup in the Lord's Supper), and “Good Shepherd” (st. 6). There are two tunes with which this text is frequently associated: DOMINUS REGIT ME, and ST COLUMBA. DOMINUS REGIT ME is the opening phrase of Psalm 23 in Latin. 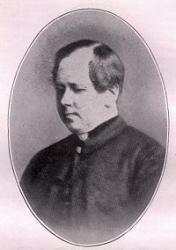 John B. Dykes wrote this tune for this hymn in 1868. The editors of the English Hymnal were unable to use this tune due to copyright issues, so they adapted ST. COLUMBA, an Irish hymn tune. Both choices are quite popular. DOMINUS REGIT ME appears in more hymnals, but ST. COLUMBA is more popular with arrangers. 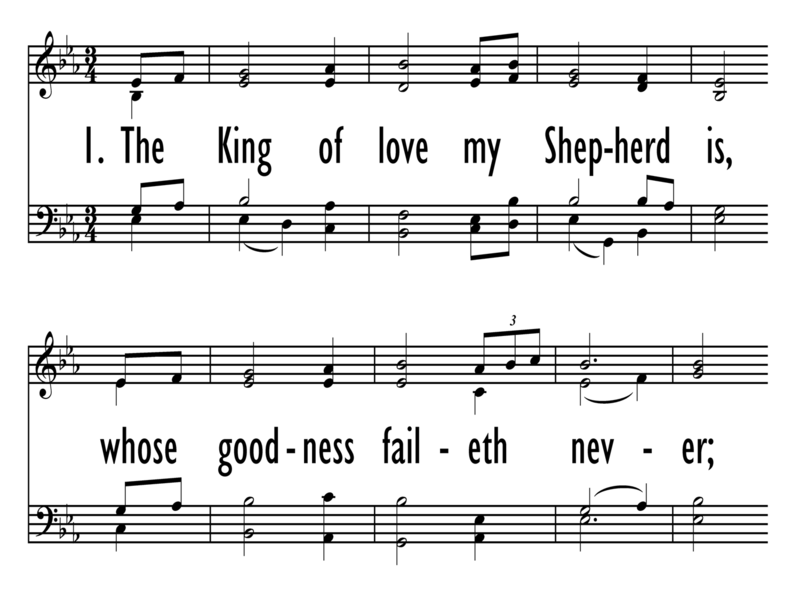 Obviously, this hymn can be used for a service based on texts such as Psalm 23 or John 10, or a service with the theme of Christ the Good Shepherd. Paul Westermeyer suggests that this hymn is also appropriate for the Lord's Supper, because of the references in the fifth stanza to “thy pure chalice” on the table set for us by the Lord (Hymnal Companion to Evangelical Lutheran Worship, 332). ST COLUMBA is the more preferred tune of the two for arrangements. This hymn is fairly popular as a theme for organ preludes. “The Lord Is My Shepherd: Six Hymn Settings on Psalm 23” includes organ settings by Wilbur Held of both DOMINUS REGIT ME and ST COLUMBA. Harold Friedell has composed a grander setting, titled “Prelude on St. Columba”. “Good Shepherd, You Are Ever Near” is a choral arrangement by Carolyn Jennings using the tune ST COLUMBA and a slightly altered text.